Slicing Bananas with knife is not easy if you are going to cut dozen of them. 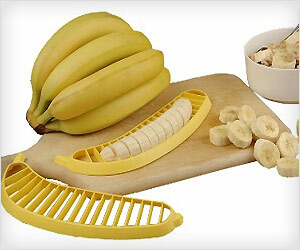 Hutzler 571 Banana Slicer make this all quick and safe as against using knife. In one motion whole banana is sliced into even pieces.